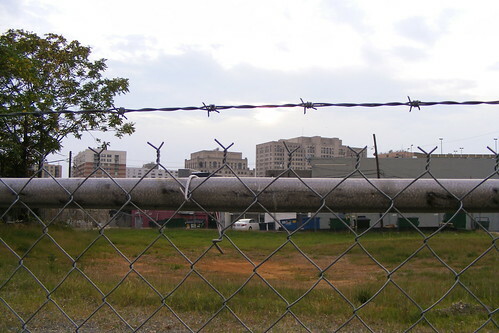 Barbed wire and chain-link fences surround the future site of Studio Plaza, a mixed-use development in the block bounded by Georgia, Thayer, Fenton and Silver Spring. 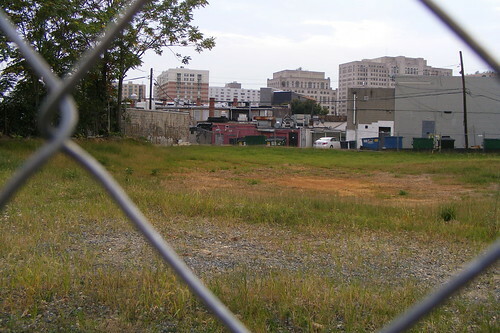 Most of the site is currently Public Parking Lot 3, but it also displaced several businesses along Thayer Avenue, including Roadhouse Oldies, which moved a couple of blocks away. I sure hope whatever it is that they are doing for Studio Plaza is more attractive than that ugly Parking Lot Number 3 which displaced my grandparents' house over 40 years ago.